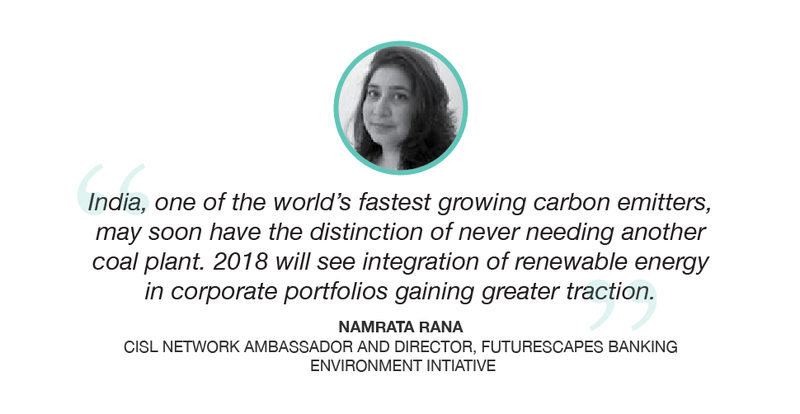 This is an excerpt from 2018 Business and Sustainability Trends Briefing. Have you got your free copy? 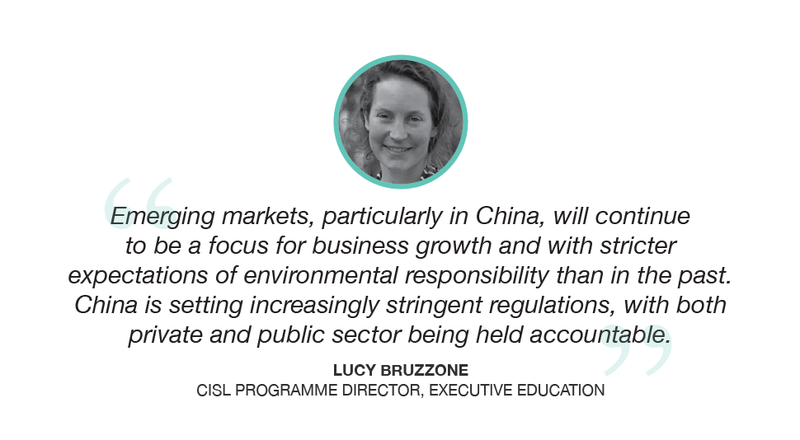 The University of Cambridge Institute for Sustainability Leadership (CISL) recently condensed the views and predictions coming from a survey covering the wider CISL Network. This led to the creation of the 2018 Business and Sustainability Trends Briefing. The University of Cambridge Institute for Sustainability Leadership brings together multidisciplinary researchers from across the globe ultimately leading to a rich exchange of ideas across traditional boundaries. The topics range from business to government to finance. While the West continues to depend on the private sector to propel the sustainability agenda, China’s most powerful leader since Mao is blazing a trail for public interventions to bring about swift and transformative change. If the rest of the world caught a cold whenever the US sneezed, then it developed a fever when President Xi Jinping committed to upholding the Paris Agreement while emphasizing the need to manage and protect China’s own environment. Its clean air initiatives have targeted base metal producers, which could mean a third of aluminum smelting plants in Beijing and other cities are closed for part of the year to reduce smog. Tighter environmental regulations on iron ore have also led to an increase in demand for higher quality, less polluting material. The challenge of unequal development has also been acknowledged with a focus on committing to a people-centered approach. The government is looking towards green finance as a route to support and drive many of these changes with the announcement of five green finance pilot zones in 2017 and a clear focus on continuing to grow and test new finance mechanisms and public-private financing initiatives will be seen in the coming months. Meanwhile, China’s ambitious Belt and Road Initiative (BRI) to better connect China to Asia, Africa, and Europe also offers the opportunity to green the global economy and help countries to deliver their targets for the Sustainable Development Goals in areas including jobs, poverty, infrastructure, and sustainable cities. In 2017, the impact of single-use plastics and microplastics drew widespread condemnation. A drive to reduce the use of plastic by consumers and companies is likely to be accompanied by greater scrutiny over other environmental impacts of business such as waste, land degradation, and resource scarcity. 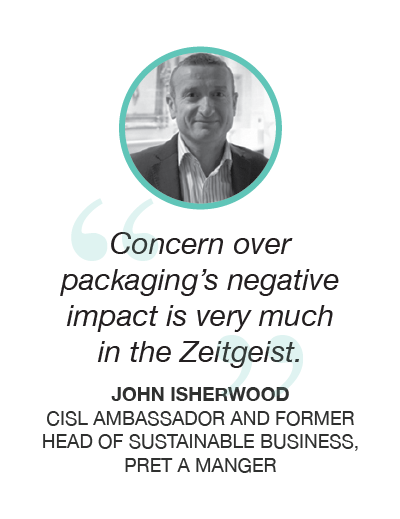 In 2018, businesses can expect to face continued consumer and NGO pressure for a rapid move away from single-use plastic. The most responsive companies will make use of new technologies, invest in alternatives and develop more sustainable practices throughout their value chains. This is likely to reinforce the growing notion of a circular economy where materials and products are reused, repurposed or recycled. Case in point: UN pledges to stop plastic waste reaching the ocean. The UN Environment’s declaration of war on ocean plastic in early 2017 climaxed in December with a UN resolution that the world must unequivocally prevent plastic waste from reaching the sea. Amid warnings that there will be more plastic in the ocean than fish by 2050 without urgent action, some 200 countries signed up to the resolution. Perhaps of equal significance, China moved to ban the import of plastic waste, which will force exporters to find urgent solutions for recycling while in the UK, the popular BBC nature program, Blue Planet, inspired the public to back action on plastic. This follows the UK’s levy on single-use plastic bags, and similar interventions in other countries including Kenya, which banned single-use bags altogether. As public consciousness of the issue grew, crew members of the Vestas 11th Hour Racing team joined the Cambridge Institute for Sustainability Leadership (CISL) ahead of the Volvo Ocean Race to discuss reversing marine degradation and the conservation leadership opportunities for sailors. Explore how organisations can challenge society’s current unsustainable production and consumption practices. 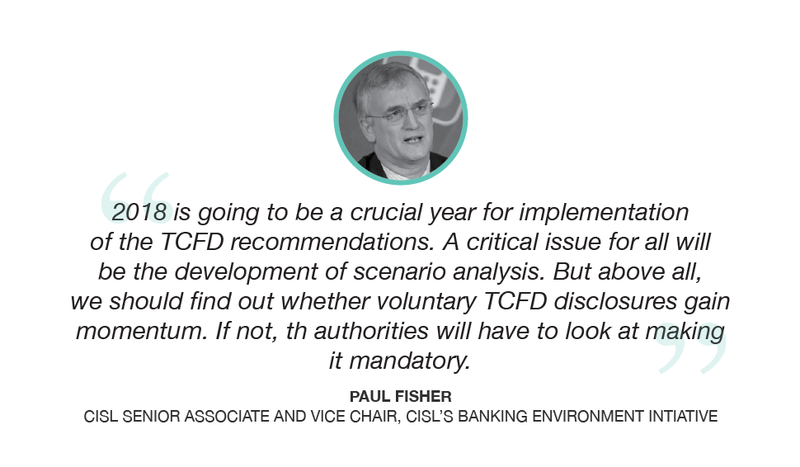 Global agreements on sustainability from the UN Sustainable Development Goals to the Paris Agreement and the Taskforce on Climate-related Financial Disclosure (TCFD) are moving from the margins to the mainstream. The coming year will see businesses held to their commitments to report their sustainability performance, paving the way for a greater impetus to meet sustainability targets. Case in point: Insurers find opportunities to address protection gap. 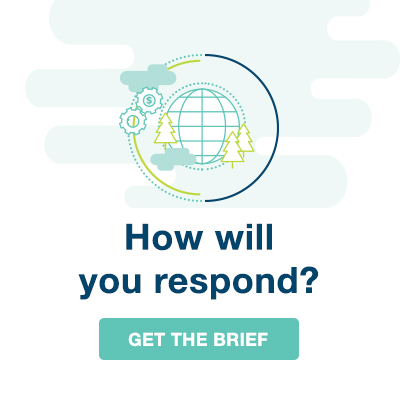 For the last decade, members of the global insurers’ network, ClimateWise, have been voluntarily disclosing their response to climate change risk with The ClimateWise Principles. Such early alignment with the TCFD recommendations has put these organisations on the front foot when it comes to developing strategies for greater resilience and increasing board-level oversight on climate change and sustainability. This is particularly relevant for cities and urban areas as recognition of their vulnerability and importance continues to grow. With half of the world’s population now living in cities and 1.5 million moving to urban areas every week, investing in more resilient cities is both a social and commercial necessity. The dramatic decline in the burning of fossil fuels, driven by the EU, China and US, has consolidated the future of renewables – particularly solar power – and the inevitable switchover to electric vehicles. With the International Energy Agency (IEA) forecasting stagnant coal consumption for the next five years and the World Bank announcing it will stop funding upstream oil and gas after a similar commitment regarding coal, all eyes will fall on the alternative and renewable energy market. China’s plans to introduce a new system to monitor the solar market will help direct investments to areas with fewer idle plants while the UK ramps up efforts to phase out coal before 2025. Meanwhile, sub-Saharan Africa’s renewable energy capacity is expected to increase by 70 percent in the next five years amid new solar, wind and hydropower projects. 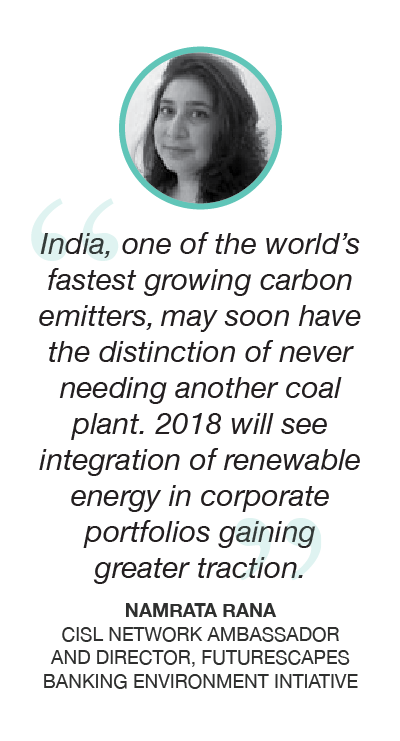 At the same time, the energy sector will need to minimise the impact of stranded assets as it transitions to clean energy. Oil company Shell made the significant move into electricity with the takeover of First Utility at the close of 2017, challenging competitors to look closely at their own transition strategies. Are you ready to receive a personalised action plan for overcoming the barriers associated with creating a sustainable business?